Facilities and surroundings. Superb for kids. Had a great meal at the Bergview restaurant. The zip line and walk was also magnificent. The bed was super comfortable. Rooms were extremely clean. And the bathrooms as well. Actvities were excellent. Lunch at the bistroe was superb. It is a nice place to, family friendly, surely we will come back again, there is lot of things to do, and it is safe. Lovely hot water for showering. Comfortable bed. Although did not have kiddies accompanying us, thought the water features and Adventure Park were wonderful additions. Close to the hotel and it's amenities -2 min walk-but sufficiently far away to be peaceful and quiet. Spotlessly clean. Well appointed kitchen. The location of mountain view cottages is excellent. 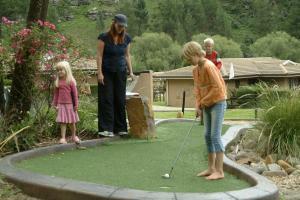 The resort has excellent recreational facilities for all age groups. Enjoyed the hiking trails. Good appliances in cottage. Pleasant, helpful maid staff. On-site shop is appreciated. 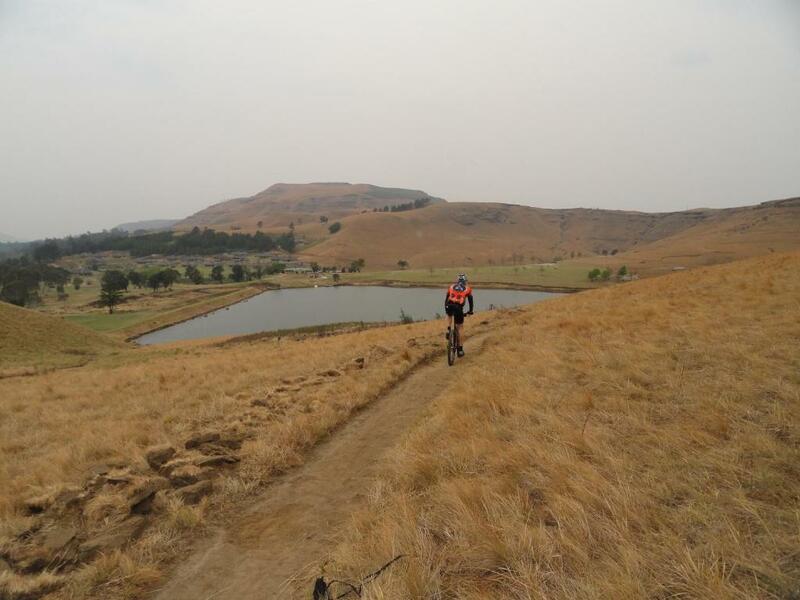 Located in Underberg, Mountain View Cottages offer self-catering chalets with a swimming pool and views of the surrounding landscape. Chalets can accommodate 4 or 6 and come with a fully-equipped kitchen, telephone, limited DSTV, music center, heating and individual barbecue facilities. Guests can dine at the resort's bars and restaurants located in the main building. This hotel includes a 24-hour front desk. Guests can enjoy a number of facilities on the resort including an 18-hole golf course, trout fishing and a tennis court. Additional facilities include a bowling and the Discovery Park for children which features a mini-farm with rabbits, birds and other animals. Mountain View Cottages are 43 mi from Coleford Nature Reserve and the closest airport is King Shaka International Airport, a 3-hour drive from the property. When would you like to stay at Mountain View Cottages? This chalet features 1 private bedroom and a sofa bed. Please note that this room can accommodate a maximum of 4 guests. This chalet features 2 private bedrooms, 2 bathrooms & a sofa bed in the lounge. Please note that this room can accommodate a maximum of 6 guests. This unit equipped for self-catering purposes. Bedding and bath towels are provided and the units are serviced daily except on Sundays and public holidays. House Rules Mountain View Cottages takes special requests – add in the next step! A ZAR300 damage deposit is required on arrival (around USD21.34). This deposit will be fully refunded 7 days after check-out, as long as there isn't any damage to the property. Mountain View Cottages accepts these cards and reserves the right to temporarily hold an amount prior to arrival. Please inform Mountain View Cottages of your expected arrival time in advance. You can use the Special Requests box when booking, or contact the property directly using the contact details in your confirmation. A damage deposit of ZAR 300 is required on arrival. That's about 21.34USD. This will be collected by credit card. You should be reimbursed within 7 days of check-out. Your deposit will be refunded in full by credit card, subject to an inspection of the property. DSTV not working when we arrived. Only managed to resolve the following day after about the 4th call. Was told at reception that unit wasn't serviced but then noticed that each day it was being serviced. Couldn't get in to the Bergview restaurant on the first night as it was fully booked. The Vine Knot restaurant was not operating and no reason was given. The buffet proved to be very expensive. It was family friendly.There were lots of children activities,I would recommend it for a friend. More TV channels options should be available. Tv reception was unclear. This needs to be looked into. The spa massage was wonderful. Failure to be ready for our arrival. Put us in 1 room accommodation but we requested two. They had no idea of the booking. Restaraunts had to be booked and were often full. Unit was huge and well equipped. Few electrical points and no adaptors to allow one to plug in additional equipment. Old fashioned flat sheets and blankets; fitted sheets and duvets would be nicer. View of the mountains somewhat restricted. The cottages are old and the fixtures and fittings are dated. The parking area behind the cottages are on stones and gravel with a very narrow access road. There are rock falls in parking area. Cottage mains kept tripping at the DB box. On the red hiking trail along the tarred road there is an area where bottles and other rubbish is dumped. This is untidy, unacceptable and is a health and safety hazard. On the swing bridge there is wooden slat missing which has not been replaced. The broken one is lying on the river bank. Once again a safety issue. The hiking trail maps from reception area do not give adequate information regarding level of difficulty, length in kms and average time of walks. Apart from the blue trail, the others are very poorly marked out. Resort should supply more umbrellas at the pool area. We had to carry an outdoor umbrella from the cottage to the pool area.